Mehrdad Tafreshi B.A. (Hons) works in copper, titanium, steel and glass, creating unique tree water features and flower sculptures. After training in Fine Art & Sculpture at UCA in Farnham, where he is an alumnus, Mehrdad started making sculpture fountains in 1998. He establishing Quist Ltd in 2001. In addition to many private installations in the UK, Quist have created and installed Trees of Tranquility in private houses in Australia, China, Europe, India, Russia, Shanghai and Singapore. Their corporate and public work includes sculptures at Microsoft Headquarters in Reading, Liverpool University, Walton Centre Hospital in Liverpool, a large sculptural installation display in the theme park Paulton Park in Romsey, as well as Mayfield Garden in Australia and the Bellagio Hotel in Las Vegas USA. 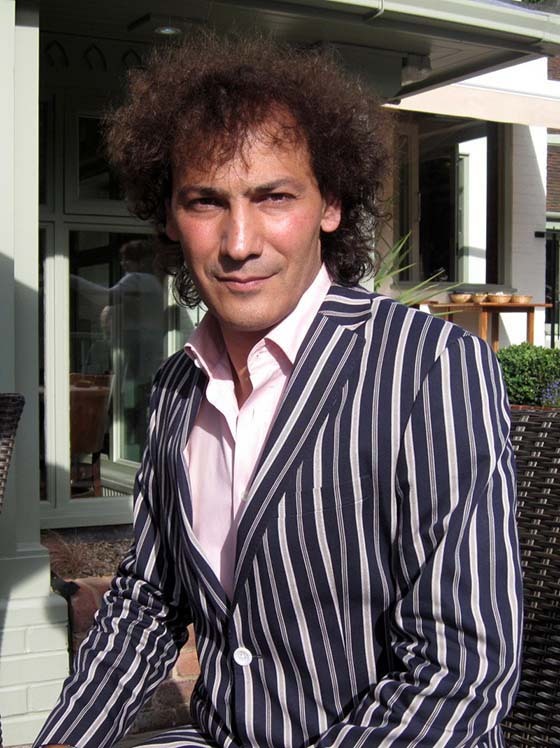 Mehrdad’s sculptures can be seen at the Chelsea Flower Show in London, where he launches new designs every season. They have won six Chelsea Flower Show awards and the Glee New Product Award: Outdoor Living in 2002 and 2003. These are in addition to many others over the years he has been working as a sculptor. He works with a team of skilled craftsmen in his workshop in Surrey, where every single element of the sculpture fountains, including the leaves, is hand cut and hand made. All sculptures are made to order and he welcomes special commissions. Most of our sculptures can also be viewed on our premises in Haslemere. Please contact us beforehand either by email or by calling 01428 602998.